Joining Projects Abroad and the Care Project in Myanmar is an opportunity for you to make a tangible impact on the lives of children in need. After decades of military rule, the country is going through rapid political, economic, and social change. Many people have benefitted from these changes, but poverty persists in rural areas and Myanmar still struggles to care for vulnerable groups, especially children and people living with disabilities. This is a challenge that the country will continue to face for years to come. As a volunteer working in a care centre or special needs school, you will be able to fill in the gaps and provide the extra support that the children need. You do not need previous experience to volunteer, as you will work on achieving goals set out in the Care Management Plan. In Myanmar, we have a placement at a school for the deaf. If you speak sign language, this would be a great placement for you, however, this is not a requirement to volunteer here. 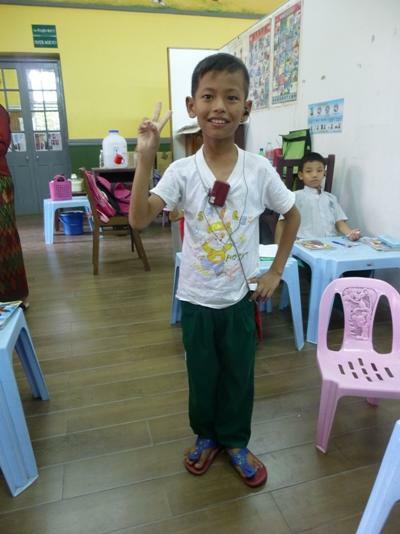 Our Care Project is based in Yangon and you will be placed at one of our partner organizations. Your role will be to give the children educational and emotional support, working alongside the local staff. Through these activities, you will focus on encouraging creativity and cultural and language exchange, and providing desperately-needed support for the local full-time staff at your placement. The General Care Project in Myanmar is available from two weeks if you don't have time to join us for four weeks or more. This project has been selected by our local colleagues as being suitable for shorter durations for both the host community and the volunteer. Although you will gain valuable cultural insight and work intensely within the local community please be aware that you may not be able to make the same impact as someone participating for a longer period.